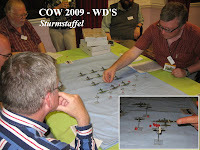 The Stoke Challenge is the club's annual invitation wargames event, and this year again featured the two ancients challenges plus the planes and WW2 stuff. 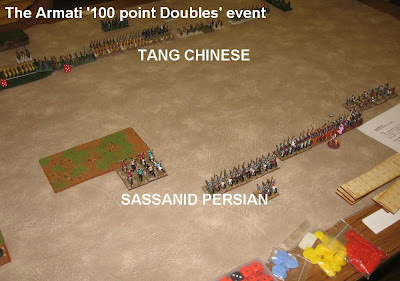 A well attended DBMM singles event, and the light-hearted 100 point Armati Doubles event. 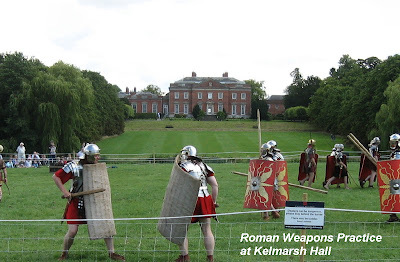 I was up there playing Armati (well ancients, A2 Armati, anyway...) for the first time since Glasgow last year. 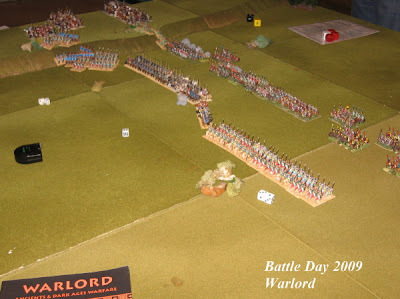 The Stoke club were able to put up three home teams, and the Armati League took up the challenge with three teams of visitors. 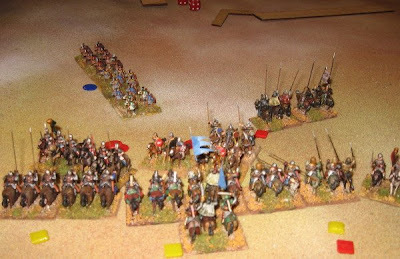 The six Triumph of Cavalry armies fielded were two Tang Chinese, an Andalusian, an Abbassid Arab, an Arab Conquest and a Sassanid Persian. 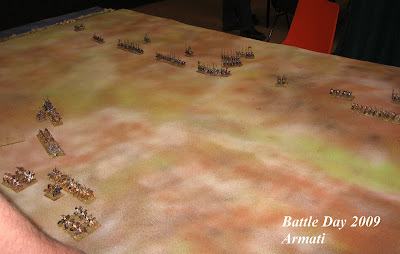 After two rounds of entertaining and quite tight battles, the Armati League teams mostly had won, the Stoke teams mostly not. 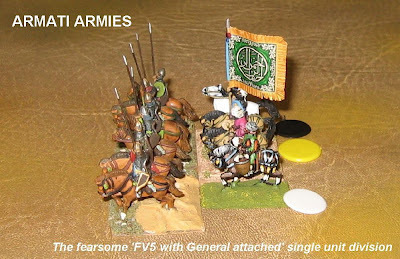 My (Arab Conquest) team's first game went down to the last set of combats (both armies broke on 7 key unit losses, and we started the last turn with us -5, them -6 ... the crucial combat was between tired camels and tired Andalusian lancers - not panicked, both on FV4 and both already on 2 BP: so if the lancers lost, the game was over, if they won, the breaks were levelled and some more 50/50s would follow ... our camels shaded it) ... very close. 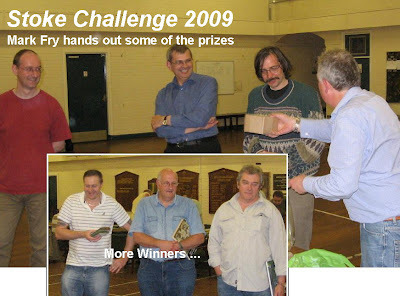 Mark's prize-giving mostly seemed to be about dead generals and stuff like that, but for what its worth, apparently the highest scoring team was the visitors' Roy Boss/Rodger Williams combo. Well done to them and their Abbassids. 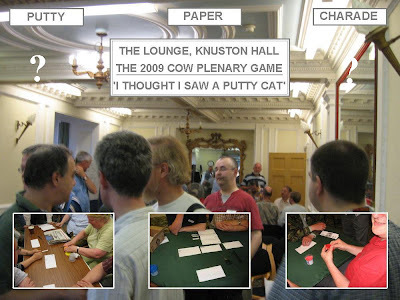 Many thanks to the Stoke club and to the individual umpire/organisers: great job. 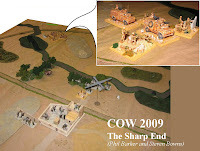 Paul S-to-Z thought some of you might be interested in (this link to.. ) the Vintage Wargamers (he thinks it goes well with the rolling slideshow from the early nineties, I think). 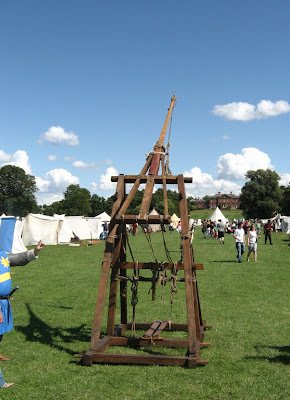 There was a large medieval component to the living history zones, and a lot of weaponry being demonstrated. 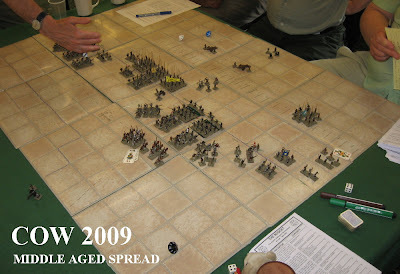 There is an extensive wargames zone run by the Phoenix Wargames Club - historical games aimed at getting visitors to see the light: 2 ancients games (Thermopylae and Caratacus - both employing Warhammer Ancient Battles) an English Civil War game, aerial action with Wings of War and a Battle of the Bulge snowscapes game. 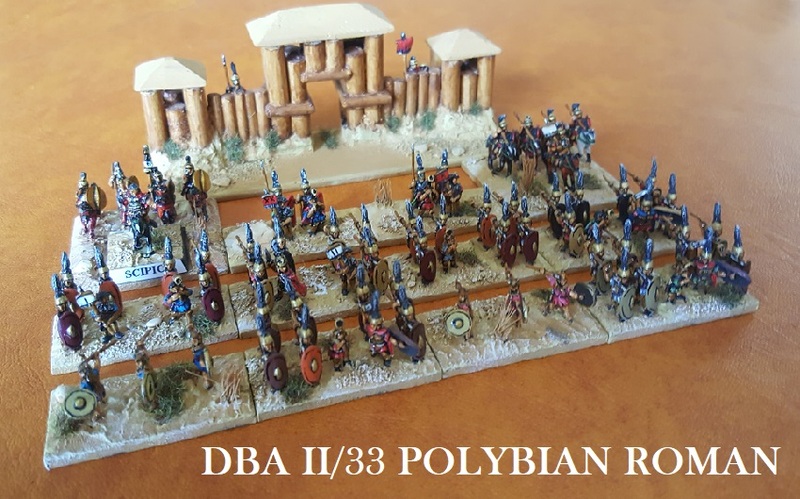 I had an interesting chat with them over the Thermopylae game - it was apparently lasting much longer than WAB battles usually do - there was an outflanking move through the passes that was making slower than expected progress (meanwhile, frontal attacks on the Spartan position were proving virtually futile .. well, that seems OK, then ...). Good effort by the club, and plenty of kids joining in. 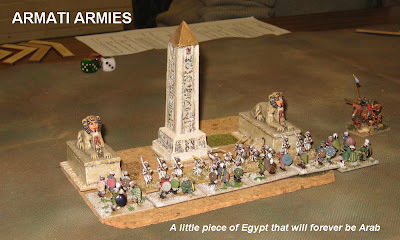 Ancients looking by far the most popular. 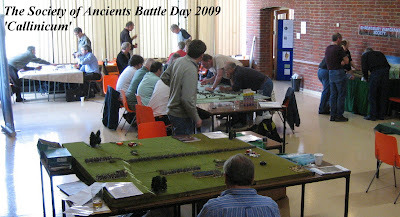 Apart from the fact that there is 'ancient and medieval history and wargaming set therein' throughout the event - so any Society of Ancients enthusiast would warm to it - this is an excellent family event with plenty to do and, I thought, much better access than the similar event for which we used to do the ancient tabletop games some years back at Kirby Hall (History in Action). 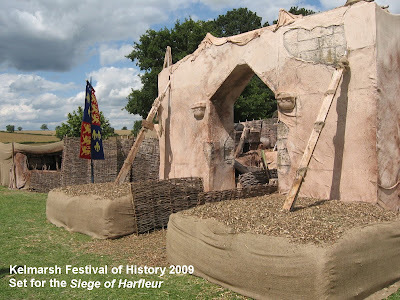 Expensive tickets, maybe, but more than a full day's worth of stuff to see and do, free parking, idyllic Northamptonshire and a big discount if you join English Heritage. 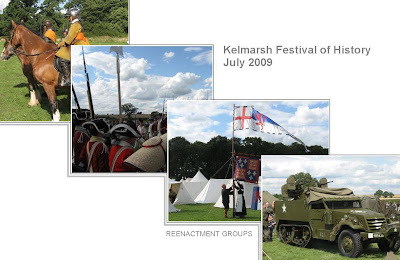 mark it in your diaries for next year and cross your fingers for a sunny day. 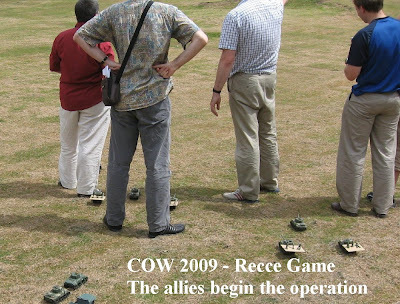 With Naseby Battlefield only a mile or two away, there is always a strong ECW theme to the event - and indeed I was there to meet some of the Battlefields Trust activists in connection with a Naseby project I am engaged with for the Pike and Shot Society. 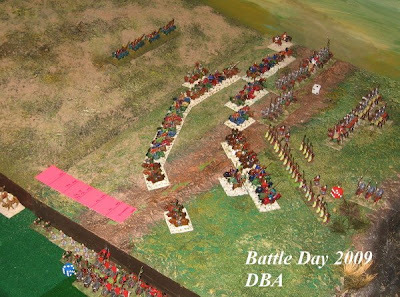 Whilst the rest of us go about our normal business, making a living, supporting families, enjoying historical hobbies etc., the Battlefields Trust are waging a campaign (sometimes a rearguard action, it seems) to protect our military heritage from being concreted over as carparks, housing developments and motorways. 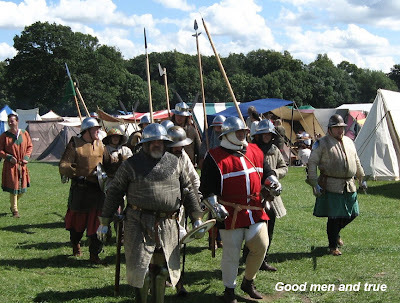 Towton is near the top of the endangered list. The trust needs our support and help in this vital work. 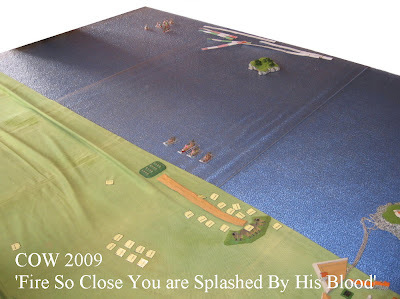 There are more (ECW) pictures from Kelmarsh (and ongoing updates about my Naseby project at the ECW Battles in Miniature blog). 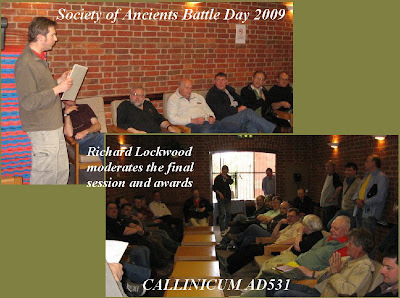 A Look Back at the 2009 Battle Day - Callinicum ... I was going to paste these photos into the 'Good Start' collection of pictures from earlier in the year - but they demanded to get a posting of their own. 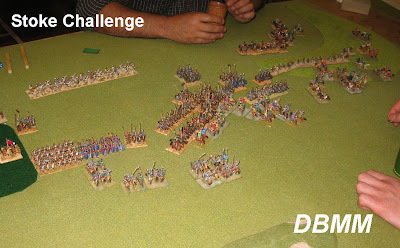 Many thanks to all the teams who took so much trouble with this year's challenge. 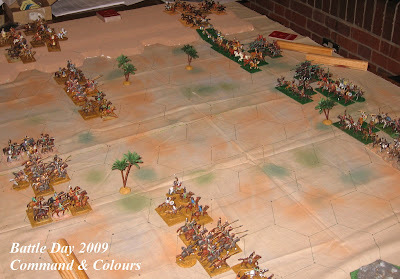 Eastern Romans against Sassanid Persians on the front line at Callinicum. 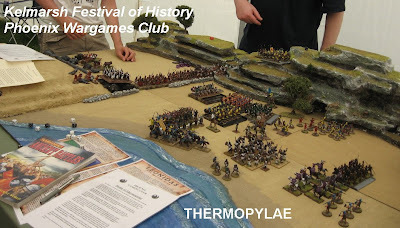 There wasn't quite so much Ancients stuff this year. 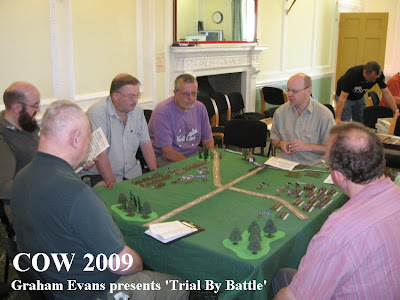 John Bassett did a very popular Roman politics game, Graham Evans ran the latest version of his Wars of the Roses game 'Trial by Battle' - and Ian Drury and Richard Brooks a combined session, also late Medieval, each presenting a battle (Faughart and Flodden) with Richard's rules (with the much imitated squared array and card activation). I hope in both (all three) cases we can persuade the authors to share their different insights with Slingshot readers in the fullness of time. 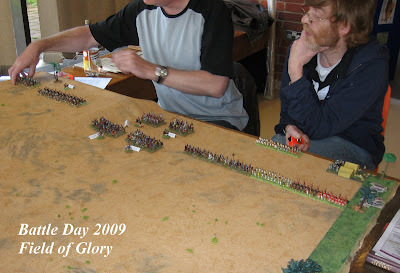 Well, nearly all of this features unique rules mechanisms (Wargame Developments still proudly badges itself 'we write our own rules'), and the freedom that gives allows the event to offer (I'd argue) more games in more diverse periods than any other event in the world. ... an extremely absorbing battle on WWI's Eastern Front - not far off Tannenburg, it is fair to say ... (all players SoA members to boot!) 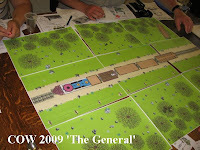 and a map-based Napoleonic Operational game with Megagame Makers' Jim Wallman ... and also a couple of ACW games ... a Gettysburg boardgame and a skirmish/roleplay of the Great Locomotive Chase (surely you all know about that ...)..
Of course, this is much easier for us than scaled observers and scouts (who would be down at the level of the vehicles). Yes, they are dug in somewhere out there. 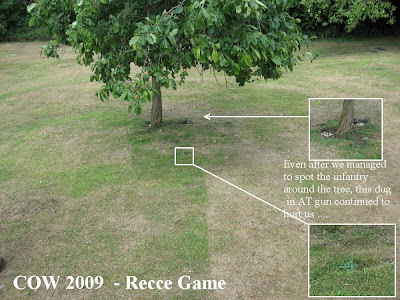 Click on the photos to get a better image. 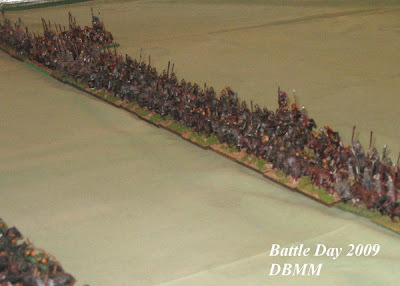 The concealment was all pretty innocent - all the kit was still in its plain green or grey dull plastic (and the figures were mounted on bare cardboard bases) ... nothing was actually camo'ed up or manipulated. Enjoyable and illuminating. Here's more of the other stuff. 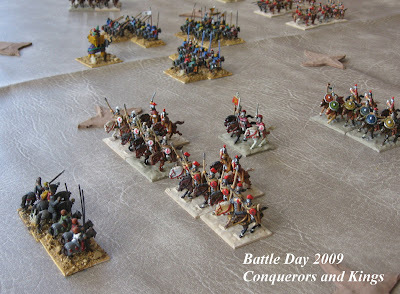 on his Wargaming Miscellany blog. 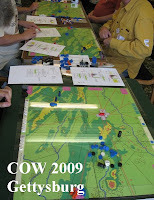 Of course, I write up COW on the Shows North blog because we have a membership stand at the event. 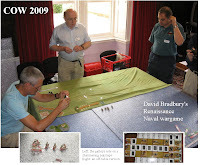 As usual, we took some memberships and distributed a few more games and publications (this is, in itself, something of an achievement ... so many members of WD are SoA members these days) ... not just because it is one my favourite wargames experiences in the year! 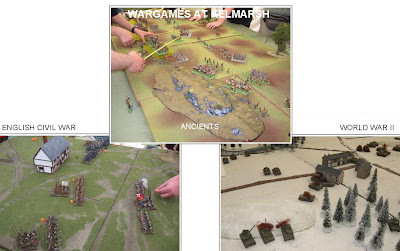 So a big thank you to WD and the organisers for extending us the space they do - and thanks to everyone who contributed their part to a great weekend. Well up to the standards it has set in recent years.